Personal or professional life which is important? 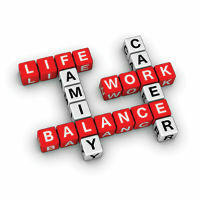 It is always very hard for people to prioritize around these both and here work-life balance comes into picture. So what is work-life balance? A work-life balance is a degree of satisfaction when a person feels that he is able to manage both his professional and personal life well together. Work and personal life are two distinct worlds. It is always hard to manage both. This article will help you to manage both your professional and personal life. Find some of work life balance tips here. Work life balance has gained prominence in recent years. A balance is equal to healthy benefits and satisfying lives both personally and professionally. Youngsters often find difficulty in managing their work and personal life. Rotation between nights and day shifts makes difficulty in focusing on simplest things. A survey results that 2 out of every 5 employees are dissatisfied with their professional and personal life. Work-life imbalance always results in stress. Basically a stress makes a person to deviate from his normal functioning. An occupational stress has serious impact on both personal and professional life. So here are some tips to manage your work-life balance. Speak your mind : If you feel depressed or stressed don’t hesitate to communicate with your parents or your partner or your employer. Ask for a shift which you feel flexible. If you are not able to negotiate your thoughts to your employer look for another job which is less stressful, where you can manage your both work life, Health and personal life. Lack of communication is the main problem in every relationship. Slow down : Life is too short. Spend time with your family members, friend. Unplug yourself from the things which you make stressful. Be happy and make others happy. Don’t dwell in your failures. Remember, Life is like a photography we develop from negatives. Peter F. Drucker said, “Until we manage time we can manage nothing else.” Some people mainly suffer because they are not organized with their tasks properly. Have a proper plan. Spend time equally for you professional and personal life. Share your work load with your partner or your family members. Don’t hesitate in asking them. Don’t feel overwhelmed with your family responsibilities. Related : Why engineering graduates are unemployed in India? Never get so busy making a living that you forget to make life. So I conclude this article by with a quote that, “Live and work but don’t forget to play, to have fun in life and really enjoying it”.